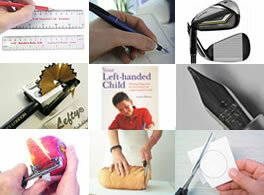 These are articles, features and post we know about relating to our Left Handers Day activities last year. If you see any more, please add them as comments at the bottom of the page and we will pick them up. Lauren did an interview on Skype with TV journalist Ekaterina for a piece they are putting together on Left Handers Day. 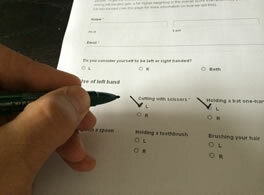 This employment website did a survey of job applicants to find out about their handedness and how it affected their jobs. The survey, which was conducted amongst over 2,400 UK employees, discovered that 12% of the working population is left-handed, which equates to over 4.5 million staff. Of those, 1 in 5 (over 852,000 people) face practical problems at work just because they are left-handed.